Yaounde Cameroon: An overview of the Yaounde,the capital of Cameroon. 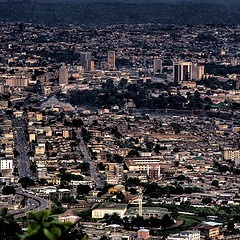 An Overview of Yaounde, Cameroon, Africa. Yaounde is the capital of what African country? What African country has the capital of Yaounde? Make Up of Yaounde Cameroon. Founded by the German colonial masters as a station for Ivory trade route and an agricultural research post in 1888, Yaounde will later be occupied by Belgian during World War I and then the French as a League of nation trustee. 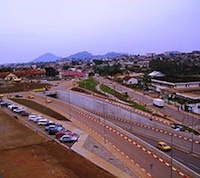 The French made Yaounde city their Capital City for governing French Cameroon. Today, Yaounde is the political capital of Cameroon, Africa and home to the famous Unity Palace (at Etoudi), Cameroon's presidential palace. Due to cameroon's form of centralized governance, Yaounde as the capital city houses all government ministries and administrative support structures. Yaounde Cameroon today is made up of almost all ethnic groups in Cameroon. The majority of the over 1.5 million inhabitants are from the French Cameroun, Ewondo tribe and surrounding neighboring ethnic groups. You will find a small representation of all 250 plus ethnic groups of Cameroon in Yaounde. A major part of the foreigners in Yaounde are French citizens, Chadians, Nigerians, Moroccans, Gabonese, Americans, and a large representations of other nations through their diplomatic missions. In addition, all foreign embassies to Cameroon are compelled to be in Yaounde with supporting consulate offices in other provinces of Cameroon where their citizens maybe highly concentrated. A good example is the Nigerian embassy in Yaounde with consulate offices in Douala, Buea and other parts of Cameroon with significantly high Nigerian populations than Yaounde. Yaounde tourists landmarks range from its central valley point called Place Ahmadou Ahidjo (named after Cameroon' first president) from which extends the famous Boulevard Blvd. due 20 Mai (20th May Boulevard, 20th May is Cameroon independence day). Around this same vicinity you will find the renowned upscale Hilton hotel, standing at an enviable position in the center of the city. Worth noting is the Yaounde cathedral visited twice by Pope John Paul II and once by Pope Benedict. Mvog-Betsi, a Yaounde suburbs is home a zoo. The administrative district of Yaounde may be on your list of destinations if you are to renew a visa or get a visa for onward travel or get other administrative services. Quartier du Lac is the administrative district. The upkeep of the city is cared for by the Communauté Urbaine de Yaounde, i.e the Yaounde Urban Council. You will find lots of western style shopping centers in Yaounde for your grocery and dressing & grooming needs. In central city, Scores ( now Casino Supermarket) offers a typical western-style grocery shopping experience as in Walmart or other western style grocery shop. Credit cards and Debit cards are accepted at most of these supermarchés and bakeries. With the growing number of westerners in the Yaounde area, these style of shops are on the increase. For a typical Cameroonian, or African shopping, marché Central and marché Mokolo (biggest) are but a few of the many large African open air and indoor markets and store. 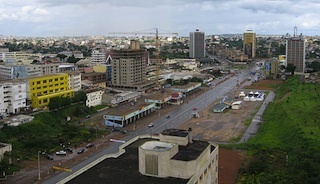 Most of Yaounde's economy is centered around the administrative structure of the civil service and the diplomatic services. Due to these high profile central structures, Yaounde enjoys a relative higher standard of living and security compared to the rest of Cameroon. Schools, colleges, Universities, Hospitals, recreational centers, restaurants are of better standards. A few of the industries surrounding Yaounde are the tobacco, dairy, breweries, clay works, glass works, and timber & lumber. Coffee, cocoa, sugar cane and rubber industries use Yaounde as a distribution route due to its easier and better road networks.